We here at roboboogie love to test. It’s exciting to blend the scientific with the creative to discover a better path toward conversions. Sometimes the most difficult part of optimization is not finding ways to improve ROIs or KPIs, but it’s the implementation of winning tests. We recently wrapped a test with three variations that made related products available directly from a user’s cart. 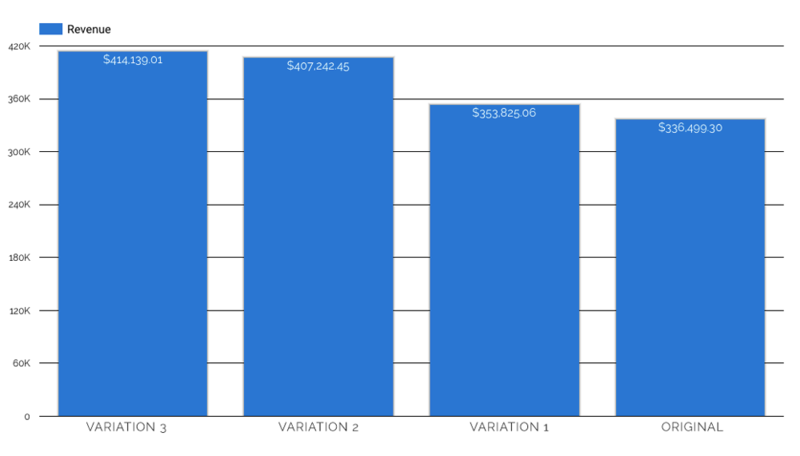 We learned a ton about user behavior from this test and we were able to grow revenue in each variation by $17,326, $70,743 and $77,640 respectively in right around 5 weeks. Each variation was allocated 25% of the total traffic including the baseline. This one test might have gains up to $3.2 million in one year for the highest yielding test if it was pushed to 100% traffic for 52 weeks. Math: ($77,640 [revenue increase] x 4 [traffic increased from 25% to 100% so 4 times] / 5 [divide to get a week’s worth of revenue so we can multiply by weeks in a year] x 52 [weeks in a year]). So you’re probably thinking that these types of tests are generally shipped off and developed and launched within the hour, right? I mean, every week a customer could be losing up to $60,000! Sadly, too often winning variations never get integrated into a site. Why? Almost always this is because there is no clear path toward implementation before testing began. Testing is the goal and making those tests into a feature of the site is an afterthought. By failing to implement our wins, we make iterative testing more difficult and costly on site performance. Once we determine a winner, we are looking to maximize our effect on users by running smaller tests on winning variations to key in on the most impactful changes. Those slight variations need to alter only a small percentage of the previous winner, but without a previous test being implemented those small changes could bring a large baseline of code from the previous test. This baseline shared across multiple variations creates a larger testing snippet as well as more places where errors could crop up and hinder a test’s results. The most common roadblock we see is a separation between departments. 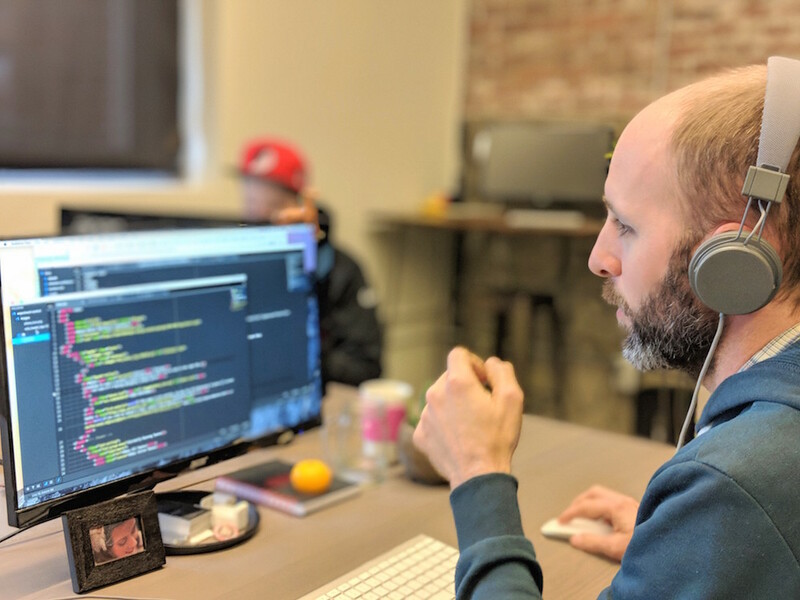 The testing department is usually spearheaded, surprisingly, not by the development team, but by some combination of marketing and sales looking to find conversions and engagement. The dev team often has a backlog of features to build or bugs to fix. Finding time for developing a winning test not on the roadmap can be tricky. That’s why it’s imperative that prior to testing, all departments that are needed to develop and deploy a winning variation understand their responsibilities and have resources available for development, QA and launch. Optimization and testing needs to be a company-wide buy in. Not integrating your wins is like buying new cabinets to remodel your kitchen and then leaving them in your basement. You’ve spent real money and probably would have a better product upon finishing the job. Creating a clear path toward implementation will help you and your team increase your metrics which provides a clear case for continued testing. So secure budget for implementations, know your development team’s availability or have your optimization partner on board to build winning variations, and get all groups involved to buy into the science of testing. Good luck!